Grades of students involved: 3rd, 4th, and 5th graders, total of 20 club members! Any upcoming projects or community events you will be doing: In April and May we will be leading our whole school in a "Kindness Fence" project, which will be a picket fence that will be painted with kind and amazing messages, and put up on the border of our playground for our entire community to enjoy. 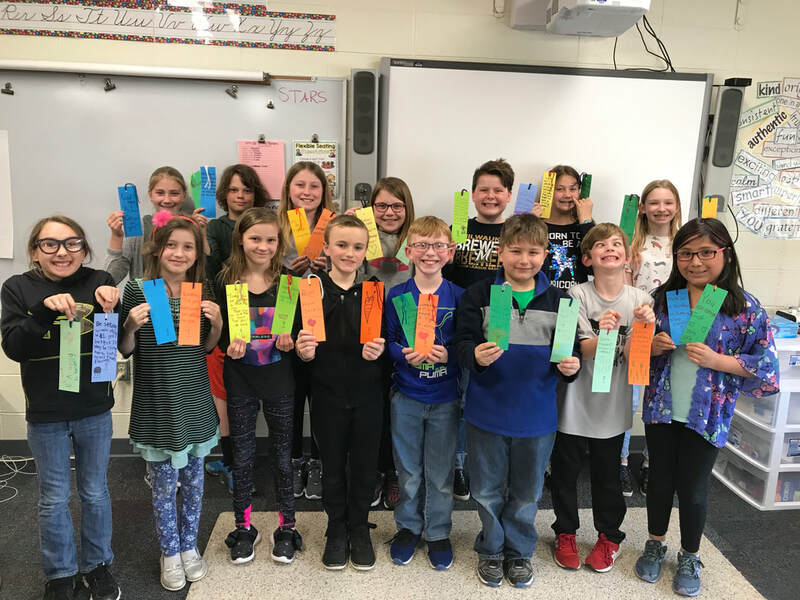 ​At our April club meeting, students made bookmarks with messages and drawings showing positivity and kindness. 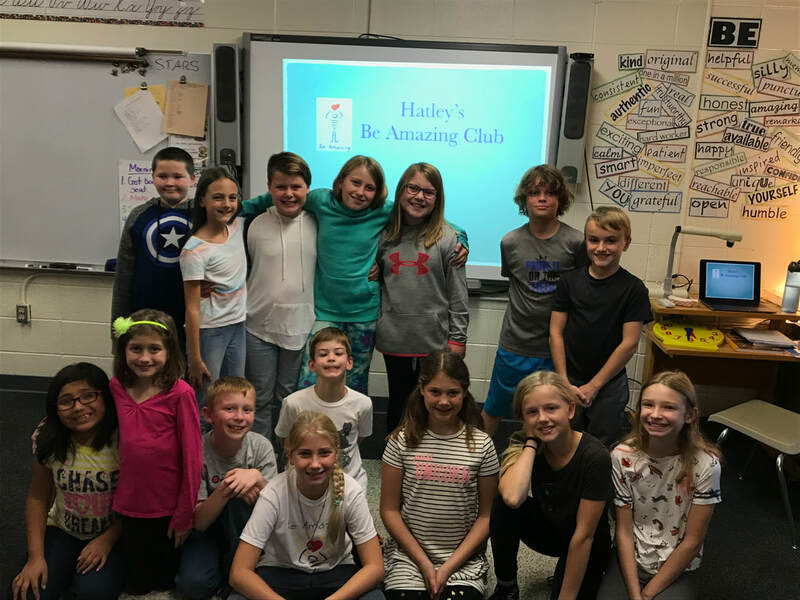 The bookmarks were then given to the Hatley Branch of the Marathon County Public Library for patrons to take to spread kindness in our community. ​Made 120 "Survival Kit" treat bags for the Marathon County Sheriffs and the Hatley Fire and EMS volunteers. Marathon County Sheriffs came to Hatley to be presented with the kits.